The Welsh Government has unveiled proposals for 50mph speed limits for motorways and major A roads, as part of a £20m package of measures to improve air quality. Air pollution is thought to cause more than 2000 deaths in Wales every year and a consultation has been launched on plans for Clean Air Zones. The Minister for Environment, Hannah Blythyn, has outlined a £20m fund. Local authorities will also get powers to stop or restrict the most polluting vehicles from entering Clean Air Zones. 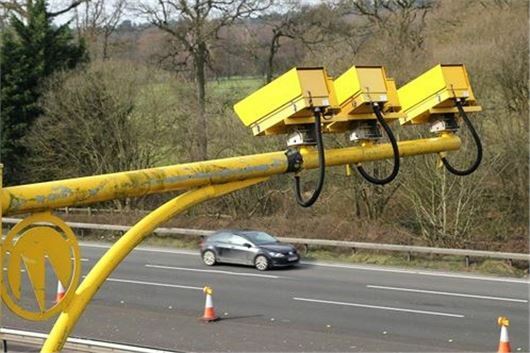 The RAC’s head of roads policy Nicholas Lyes has said it’s questionable whether reducing the speed limit to 50mph on two stretches of the M4 in Wales which are regularly subject to major jams is likely to make a difference to harmful nitrogen dioxide levels. “Slowing down traffic can help to improve flow, but if there are simply too many vehicles for the road space, then jams are still likely to occur so this is as much a question of capacity as anything else,” commented Lyes. In January 2018, the Welsh Government was taken to the High Court by ClientEarth over its failure to address NO2 levels in towns and cities that exceed EU law. Since then the Welsh Government has pledge to work with environmental groups to improve air quality. A new Air Quality in Wales website has also been launched, making it easy for people to check live air quality information for their area. The Minister for Environment said she was “confident" the measures would deliver cleaner air and cut the public's exposure to airborne pollutants. Will simply cause more pollution! Yet another knee jerk reaction by politicians reacting to some idiotic Green person, do they not know that pollution is caused by the work the engine is doing, so a car that travels along at 2000 rpms is polluting less than a car that is doing 2500 revs never mind the speed. My car will now cause the same amount of pollution in Wales than in England. In 6th gear at 70mph = 2000 rpm, At 50 mph = 2000 rpm in 4th I have to keep the revs up on a run as the DPF filter will not re generate. Why doesn't anybody think before they make decisions and they will not recind these stupid laws as they will then have been see to wrong in the first place. at a lower seed, the drag will be less so youn burn less fuel. If anyone wishes to respond to the proposals being made by the Welsh government. you have been given a chance to air your views on the 50 mph limit. and air quality. the response tag is at the bottom of the page. Came across this interesting batch of stats which, without having to be a statistician, will help you make up your mind about this "40,000 deaths a year" business. This would also impact the idiotic Welsh decision re 50mph. Beyond parody really. If Welsh (or any other people) stopped smoking, excess drinking, ate healthily, took some exerise etc there could be far more significant health effects in my view. At higher speeds, overcoming wind resistance tends to be the greater part of the work an engine has to do. The resistance increases in proportion to the cube of the wind speed. So, increasing the speed from 50mph to 70mph means that the engine has to work about 270% more to overcome that extra wind load. Just to clarify by an example: Suppose and engine needed to produce 10 horsepower to overcome wind resistance at 50mph, then it would have to produce about 27 horsepower at 70mph but the ground is only being covered 1.4 times as fast, so nearly twice the energy per mile would be required, hence an increase in fuel consumption and exhaust emissions per mile. world trying to win votes to make it look like they are helping and think they know best we will soon have a man with red flag walking in front. Engines run more efficiently and cleaner at a constant speed slowing down and speeding up or sitting in a jam adds inefficiency and pollution. I would like to know where all these thousands of deaths caused by car pollution that have been banded around more recently came from no doubt a tree hugger ,or some of these weird protesters at demos etc who never seem to work or travel ?. COMPLETE MADNESS, SPEED IS NOTHING TO DO WITH EMISSIONS, ITS REVVING UP AN DOWN THROUGH ALL THESE SPEED RESTRICTIONS, SPEED BUMPS ETC. A CAR ENGINE GOING AT A REASONABLE SPEED IN TOP GEAR SO REVS ARE LOW IS MOST EFFICIENT AND THEREFORE LESS TOXIC EMISSIONS. THESE POLITICIANS ARE ABSOLUET NUTTERS AND UNFORTUNATELY WE VOTE FOR THEM, THEREFORE SUGGEST WE THINK ABOUT WHO NEXT TO VOTE FOR. This means that reducing speeds to 50mph, which reduced air resistance and so forth, will INCREASE NOx. It would only save if it cuts traffic jams - a diesel is worst when idling, which is why stop/start technology is a "good thing", and why you should stop your engine in a jam. Speed limits cause congestion as they do in Portalbot and Newport now, which means more cars in less space causing more pollution. They have had the 50 mph at Port Talbot for some time. usually you can only go through this section of motorway at 30 mph anyway so 50 mph would be a bonus! At this section of motorway there are several short slip roads on and off over a short distance so the reduced speed limit is sensible from the view of preventing accidents. Diesels are the problem and they were never suited to auto use. Just get rid of diesel cars. Ball park about 5% more. Many hybrids also produce a high level of toxicity as highlighted by a recent which study. On top of that the destruction and carbon footprint caused throught lithium mining alone. Diesels are great in what they do - long distances and towing. Get the right tool for the job. Here the issues is infrastructure and lack of investment. On those sections the chances of travelling at more than 50mph at any normal time of day are slim to say the least. Is there a budget of some sort that might be lost if they don't find something to waste it on. Deaths due to pollution, I wonder! Go back 70 years very few cars, mostly petrol, how many people lived to the newly introduced, retirement age, 65 for men 60 for women. I believe it was between 5 and 10 % of the population. Maybe ( tongue in cheek) pollution saves lives by killing germs. People are living much longer now than 70 years ago, people have to did eventually, the air is so much cleaner now even though there are more cars. Could global warming also be accounted for by there being less pollution so more of the suns energyis now reaching the earths surface? Some people will remember the cold winters after all the dust polluting the atmosphere after nuclear bomb testing after the Second World War, until the test ban treaty. The figure of 40,000 people was raised by a panel set up by the Government consisting of, people from the pharmaceutical industry, the chairman was Ceo of an asthma drugs firm, the deputy was working for Pfizer and most of the other members had interests in the asthma charity's. Just read the report yourself, you couldn't make it up. So guess what the outcome was now more people get Asthma drugs which these people have interests in and jobs. I suppose it is the same as last nights BBC programme about the doctor that is trying to improve peoples lives by natural means not drugs. On depression and anxiety. The results actually if read properly say that the placebo tablets had virtually the same affect as the drug companies tablets, disgusting. Also the instance of babies becoming milk intolerant was highlighted when it was found that the so called independent discussions were sponsored by the major manufacturers of replacement milk products some costing 10x the price of normal baby milk and there was no real proof it worked. The sooner people wake up to the fact that major organisations are running the country the better. Not the government. The other point people may die from NOx and other pollutants but the world will die if the Co2 levels reach danger levels. Whether you drive diesel, petrol, hybrid or electric cars.